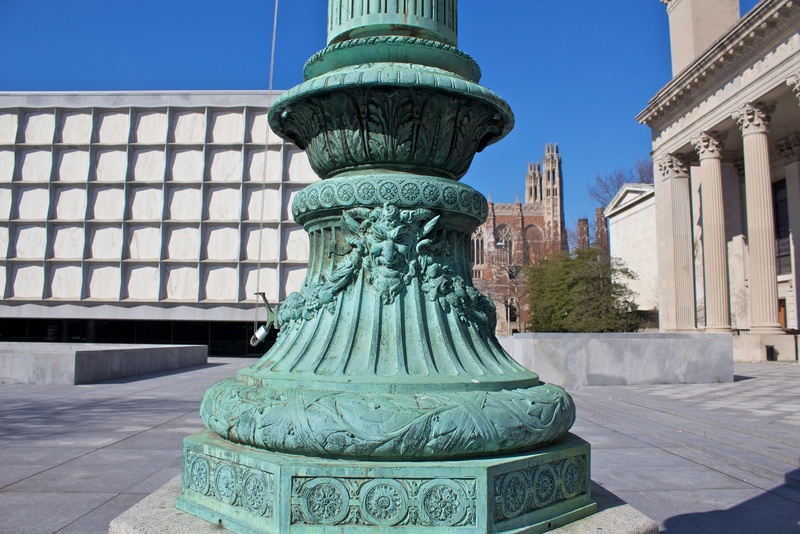 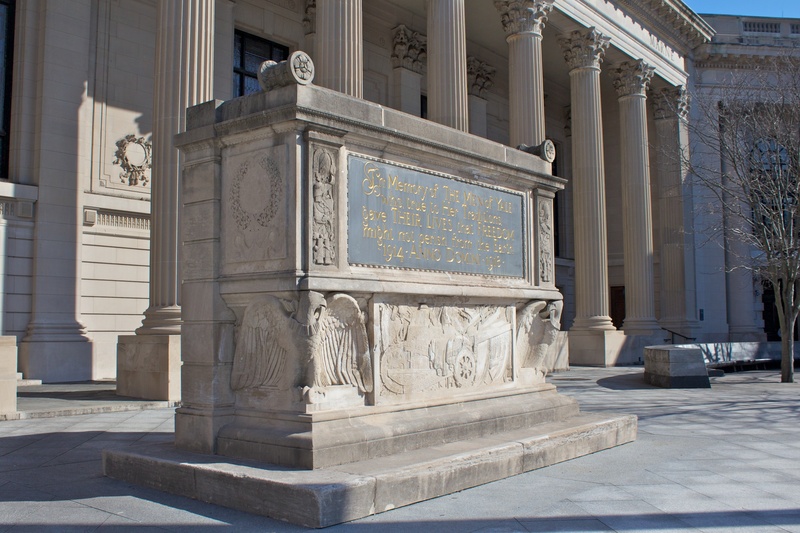 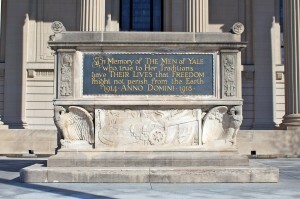 Yale honors students and alumni killed in World War I with a cenotaph dedicated in 1927. 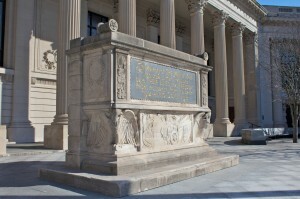 The front corners of the sandstone monument’s base feature carved eagles, and the monument also has decorative elements including a tank, a large cannon and a variety of other military equipment. 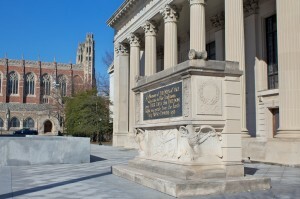 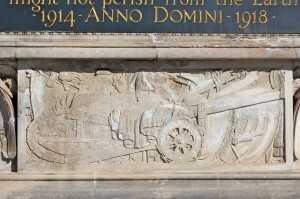 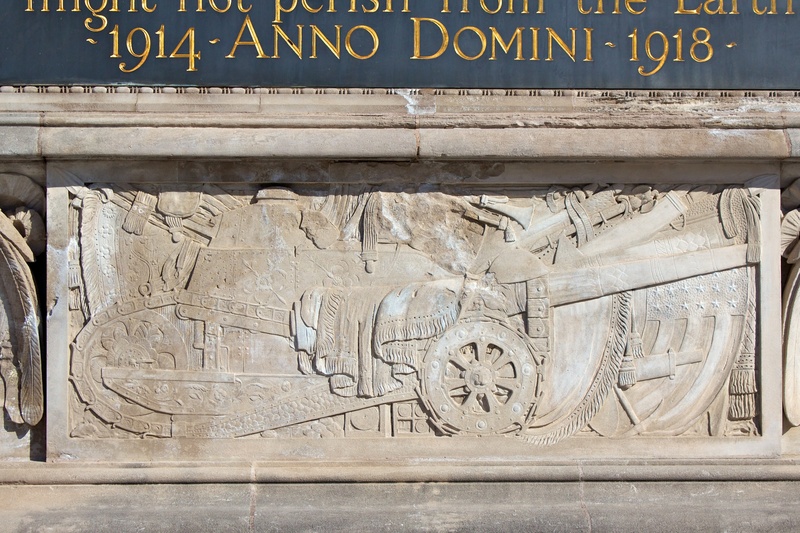 The names of several World War I battles are inscribed on the Commons dining hall building behind the cenotaph. 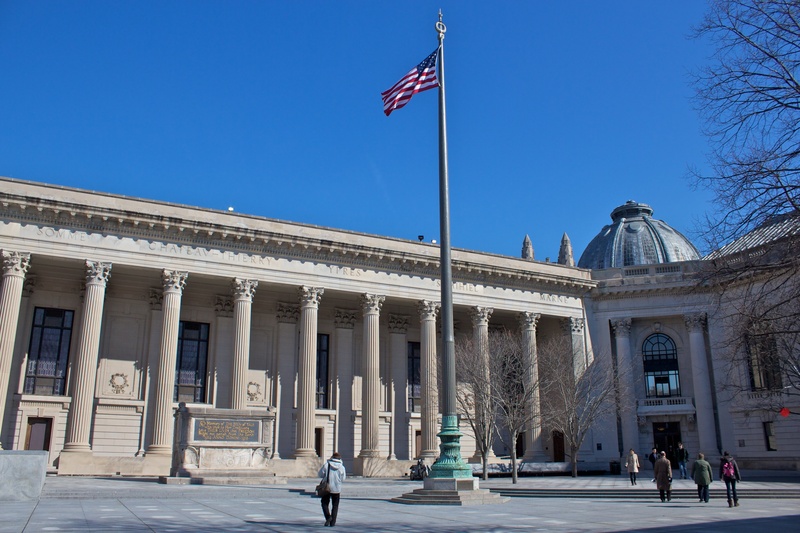 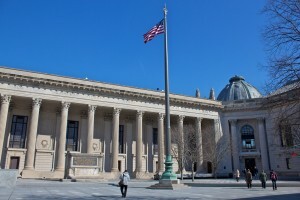 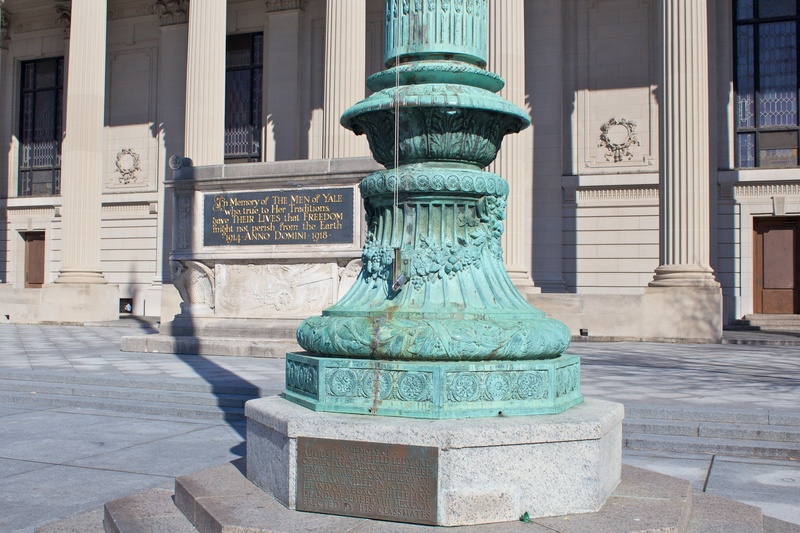 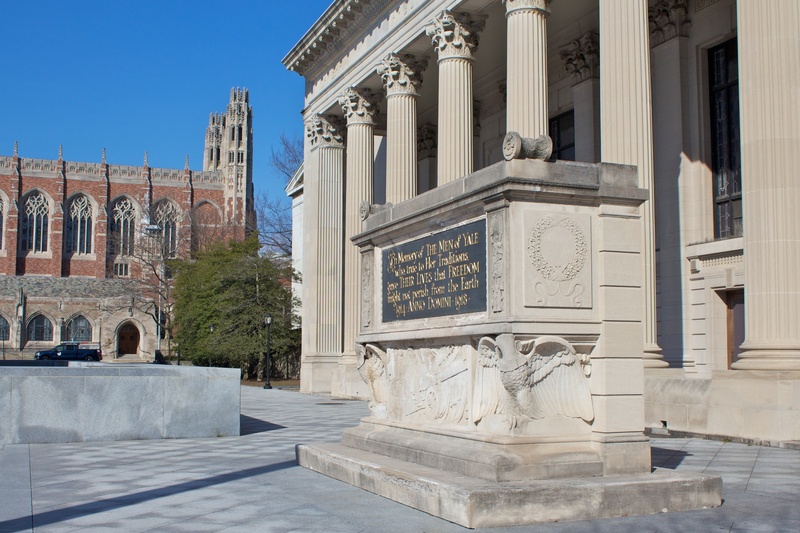 The World War memorial was designed by architect Thomas Hastings, who was also responsible for the Commons, Woolsey Hall and the New York Public Library, and Everett V. Meeks, dean of Yale’s School of the Fine Arts. 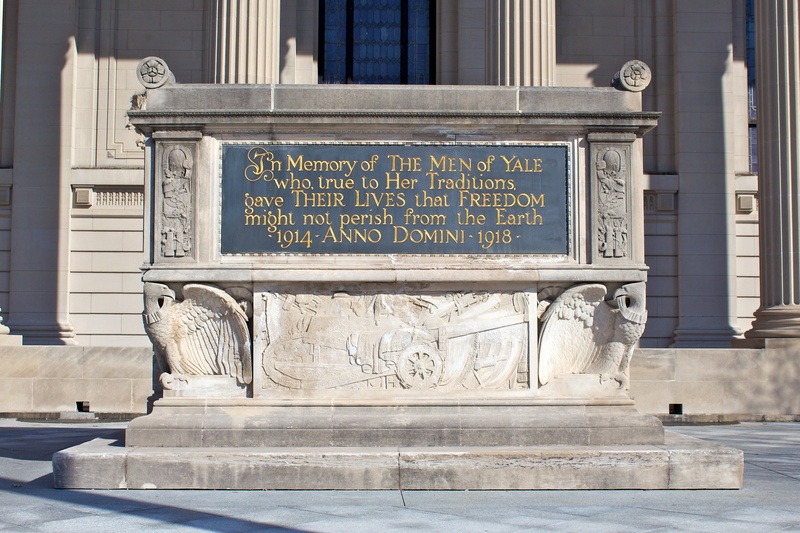 The names of 225 Yale students and alumni who died during their World War I service are inscribed on panels, dedicated in 1920, along with other memorials in the lobby of Woolsey Hall, including Yale’s Civil War memorial. 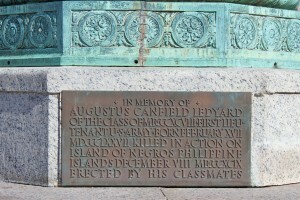 In front of the cenotaph, a memorial flagstaff honors Lieutenant Augustus Canfield Ledyard, a Yale alum who was killed in 1899 during the Philippine-American war. 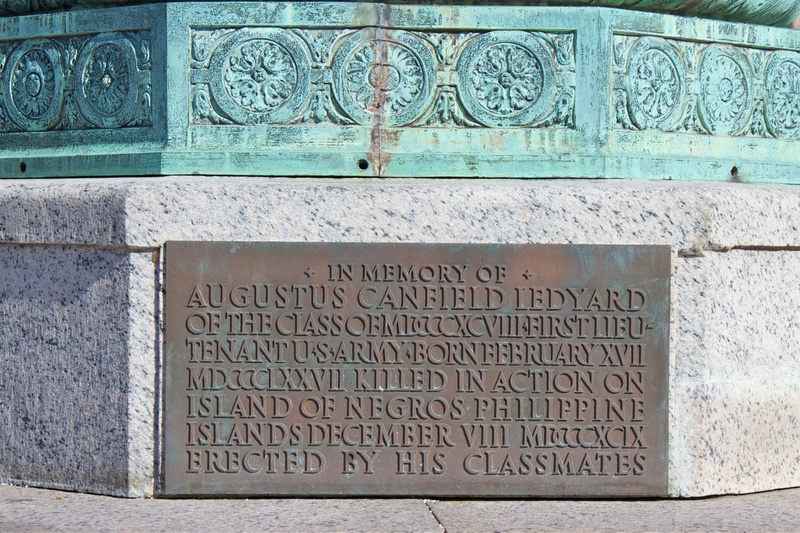 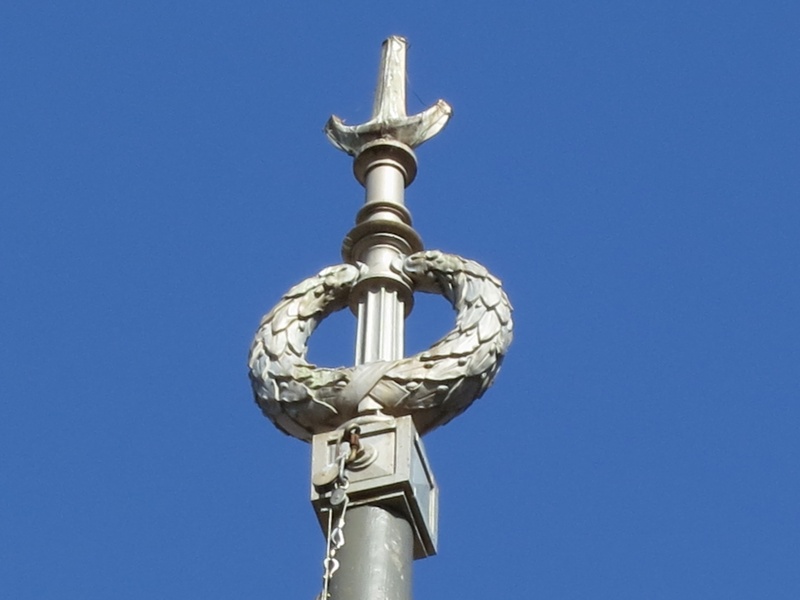 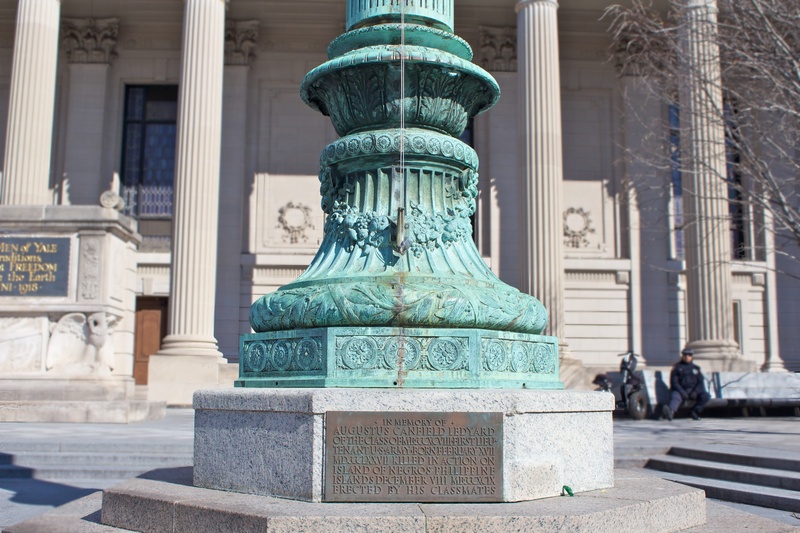 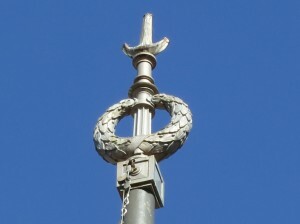 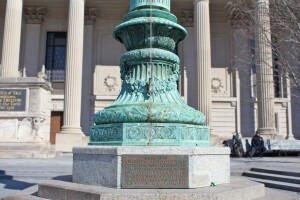 The Ledyard Flagstaff, dedicated in 1908, was moved to its location near the cenotaph as part of a 2004 renovation of the plaza. 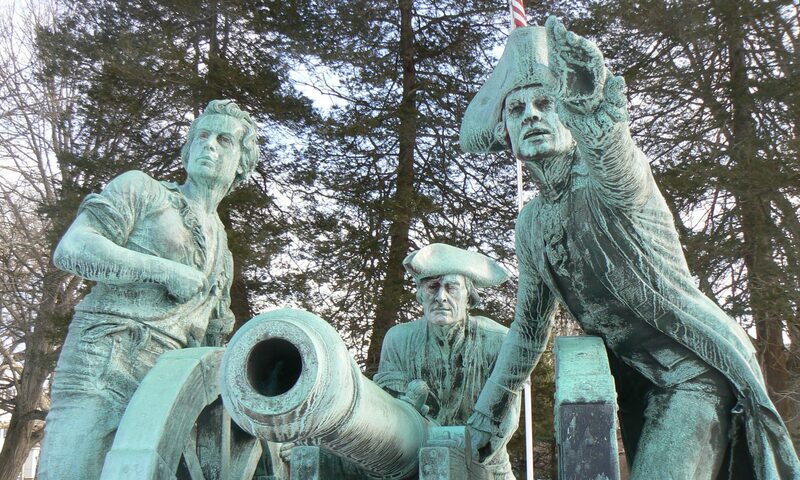 Next PostNext National Monument to the Forefathers, Plymouth, Mass.